If you have decided your marriage is over you will most probably want to make the whole process of divorce as painless as possible. Contrary to public perception not all divorces have to involve outright war leaving a trail of destruction and despair. 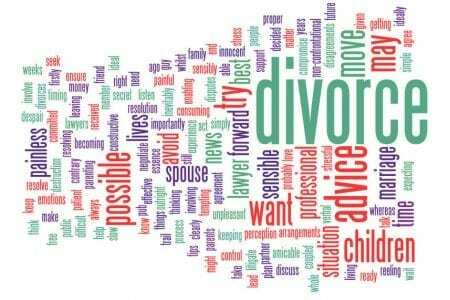 With the right divorce lawyer you should able to resolve a divorce sensibly enabling you and your children to move on with your lives in the most amicable and constructive way. So what is the secret? Firstly, as tempting as it is to take advice from your best friend or the “know it all guy” in the pub seek proper professional advice. Talk to a family lawyer who is ideally a member of Resolution committed to resolving disputes in a non-confrontational way. Listen to the professional advice given to you and try to act upon it. Always negotiate before you litigate. Compromise is the essence of any agreement. Inevitably there will be disagreements with your spouse but try to keep emotions under control and avoid verbal abuse and threats. This will simply lead to them becoming difficult and inflexible. You do not want a war. Try to avoid involving the children or using them as a pawn. They are innocent in this situation and they will need the love and support of both parents. Agree a parenting plan. Think about timing. You may have been thinking about a divorce for years whereas your partner may only have received the news a matter of weeks ago. Expecting your spouse to discuss future living arrangements at a time when they are still reeling from the news that you want to end the marriage, may be unrealistic. You might have to slow down for a while, be patient, and wait until they are ready to move things forward. Whilst getting a divorce is clearly not an ideal situation it does not have to be a time consuming, stressful, unpleasant money pit. Sensible advice coupled with sensible people can help to ensure the experience is as painless and cost effective as possible but more importantly that you and your children can move forward with your lives in the best possible way.